The largest hosta in existence! A true focal point for your shade garden! 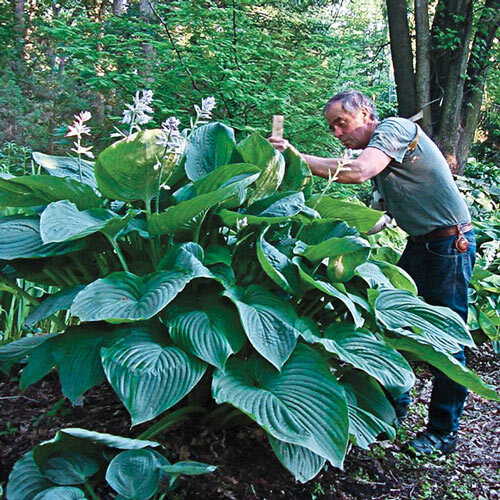 This giant forms an impressive 4-5' tall and 8-9' wide mound of huge, deeply veined leaves! Some leaves can measure 1 1/2' wide. Tall scapes produce brilliant lavender flowers that add a splash of color to an often monochrome area of the garden. Truly a conversation starter for your garden due to its immense size, Empress Wu flowers in early to midsummer. 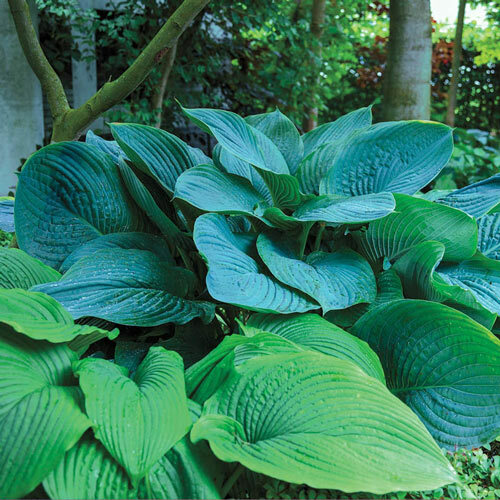 Hosta 'Empress Wu'. PP20774. Winter CareNone, except to mulch the first winter to prevent heaving of plants from the ground due to alternate freezing and thawing weather. 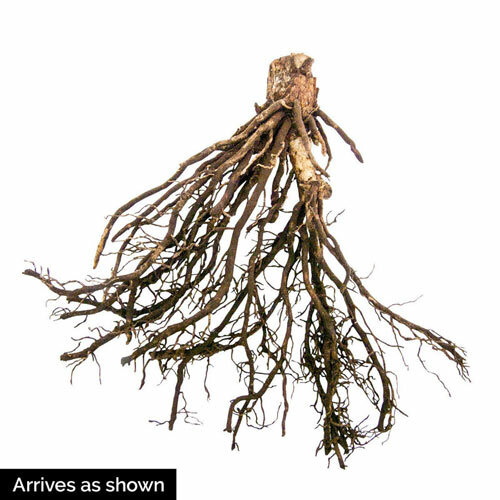 Remove mulch early in spring, before new growth begins. Flower FormTubular, bell-shaped, lavender flowers on tall scapes. 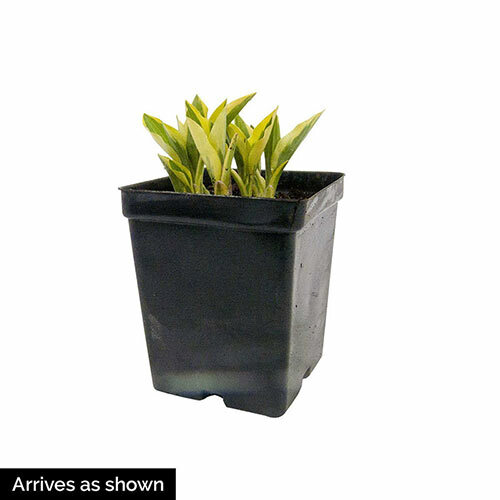 Foliage TypeVery large, deeply veined green leaves, up to 1 1/2' wide. PruningRemove spent flower stems to keep the plant tidy. After flowering. Unique CharactersticsHuge dark green, deeply veined leaves of good substance can measure more than 11/2 feet wide and long. Large leaves are formed as a young plant, though entire clump takes about 5 years growing in the ground to achieve mature size.Strongly upright habit, forming a very tall and wide clump.Pale reddish violet flowers appear just above the foliage in early to midsummerAn outstanding focal point and topic of conversation in your shade garden!